I don’t like hurting people, but truth hurts. I was in a temple a week back; and the only priest there happens to be a friend of mine. There was another young couple, in their early 20’s with a baby in their hand. The priest started the ritual , and then went to the couple. Usually you will have to say your name and those who are in your family, so that he can perform the rituals. I saw the priest frowning when they whispered the name,obviously not pleased. When I spoke to him later, he told me that they’ve done prayers for the well being of Dato Seri Yoga Ngana Sittar, a well known man among Malaysian Indian community today. He further went on explaining how poor the couple is and yet they were willing to borrow money from him(the priest) to attend a specific course. Now, when I posted a picture of this guru a week back in my fan page asking for opinion, many of their followers started their mild threats against me. I actually wanted positive response from them, but instead they asked me not to question their guru. They ask me not to talk if I’ve not attended the course. But that’s like asking me to die first to know what is death, isn’t it? I know of a lot of people, a few friends even who are fanatic supporters of this guru. I respect their belief, but I know the way this thing is being run, it’s MLM style. Now, you followers can’t DENY this, because I’ve been forced almost to the point that I got pissed off by my friend and told him off. This guy himself can’t survive a week without borrowing money from anyone; so much for supernatural powers isn’t it? RPT followers are in the world of their own, and I’ve no qualms about it. But personally, my own family members had lost a lot of money in it. Why can’t I question if I’m partly a victim as well? I wanted to know where the money is going, since it’s a spiritual society donating to the poor and unfortunate as well. None of the followers were able to answer my question other than pointing me to few pictures of guru handing out goodies. Is that how you display your transparency? I appreciate and welcome the changes RPT might have brought to their followers, but what about the people who have paid yet have gained nothing? The simple answer that I was given is they did not follow the meditation or the procedure. Here’s something to you, my own girlfriend is a follower of your guruji, unfortunately she was denied entry to your meditation center because she failed to introduce another follower. Many of us though had gone emotional about this issue, some of us whom have no connections or have not been aware of RPT had suddenly been passing degrading remarks; though you’ve not been impacted in anyway by them. But to tell you the truth the amount of people whom have contacted me when I first posted about the issue is outstanding.They all want their stories to be heard, and sadly , most of them had negative experience. The Great Shirdi Sai and Ramana Maharishi, died enlightening million others without taking a single cent for them. But then, if you’re going to gain something positive, why not pay RM 730? After all if you’re going to learn yoga from a yoga center, you will be paying thousands of ringgit , isn’t it? If you’re going to learn tuition, you have to pay as well isn’t it? These are all some sort of knowledge, so what’s wrong paying for it? I don’t mind charges are being inflicted to the disciples , but have you stopped and wondered or calculated what have you been paying for? Is it merely to eat bulb? Bulb sapthe bulb mathiri pese kudathe. 300 participates in each session x RM 730 is a staggering RM 219 000. Your guruji is travelling in a Bentley, but some of you are begging for mere RM 50. How can a man who have not relinquished a materialistic lifestyle and be clouded by the plays of maya be considered a siddha? Have you even read the life of the 18 Siddhars? Read it. For me, it’s the power of attraction. I have more than 14000 people in my Facebook fan page, if I’m going to declare I can solve your problems, don’t you think at least 10 out of that 14000 will turn up tomorrow in my house? I’m not against the teachings of the guru, but I feel most of them who is in the organization is doing a bad job or at least damaging the reputation of their guru. Remember that a guru is like a magnet, he attracts you. The followers of RPT should stop forcing people into taking up these courses, because once they’ve taken it out of their own will and felt it’s a waste, you’ve just made up another enemy. ‘Bulb sapthe bulb mathiri pese kudathe’ ohhh..trololololol!! I’m from Christian background and joined the course in 2003. Well, I have to say that I stop all this so-called power grabbing stuff from some exising energy because of one thing, God need to be on the second spot and his name first. God bless him. 1) Jesus, Our Lord, The Beloved Son Of God, died on that cross for us, humans. 2) The Bible has answers for all our question about life and our daily problems. I shall include you in prayers. Jesus loves all of us. AMEN! Richard, listen to your Aunty. It was not her talking but a message meaningful not only for you but all of us..I like it “HE who is in you is bigger than anyone else”. Many of us fail to see the ownders God have brought to us. It can be directly or through saints, phrophets or even great sages. Cause we are blinded by our selfishness and foolishness. We choose the easy way out to isten to what others say but fail to listen what that quite little voice is saying ot us from inside. We are always complaining and comparing about how God is not helping us even though we pray day and nite to the almighty in churches or temples. How blind and ignorant have we become. Each day we go through is becuase God have heard our prayers and gives us another day to live to solve our problems. Problems in first place created by nobody but us. Your Aunty is correct..and am glad you listened to her. Thank you Uncle Gerald. I’m happy to see good souls here. Yes, I have stopped everything but never bring it to the limelight because I believe in HIS word that ‘Do not judge anyone’. I just post my experience here and not judging him. holy mackarel bro, lmaolol. esp the photo and webpage link. like share my thoughts, anyone claims being a spiritual guru but has a fantastic portrait photo poses, they a fake as a 3 dollar note ( in any currency). Hi.. you’ll be surprised to hear that it doesnt stop with tat first session of rm730!!.. after a couple of months, through their data collection during the first session they in a very2 persistent manner will keep calling you for further enhancement courses which the fees may run in a couple of thousands.. respect their MLM type of promotion though.. however if channelled to “proper” channels, trust our community will fare far better.. sadly to note too, their targets are always from rural areas whom turn up in bus loads.. with ladies traditionally dressed up (like a parade) just to “qualify” to sit in front rows!!! PM me.. I’ve experienced this!!! these Gurus use the ignorance and helplessness of someone to propagate their ideology, with the only intention: MONEY !!!! No bro, they won’t be awake. They are not sleeping to begin with to be awake. They realise whatever is going on, but still refuse to take up the truth.. And keep giving out their money..
Well Done Durai. Braveheart to write on this. He used to live just same Taman as his. I’m not against him or his organization but the ploy to ‘enrol’ people by paying significant amount money pains me. Poor people easily fall for this and they end up borrowing money.Only illumined and enlightened souls are real GURU and to find one especially in the current century is miracle. It aint easy to awaken the spiritual sensation within one, it needs to be done in right practise, dedication and most important clear karma . Anyway bravo ! I agree bro , 1 of my family member is victim of this so call MLM thing, damn. My whole family went for that course before, and now, none of us a practising it. Not that we do not believe in meditation, meditation is very good, no doubt in that. But you still can meditate to the Lord without spending money. And I do believe the God listens to your prayers if you are sincere enough and sincerity doesn’t require a single cent. Believe in God and no other. Malaysia is becoming like India now, with so many types of guru’s and their payments system. Muruga, save Malaysia. I really proud of u, this is wat I experiencing last 3 years… I also attended it 3 years back, after that course, the person who brought u there will keep on forcing u to attend house meeting. At house meeting they will teach u again 7 mantras that the guru taught u. Seriously you won’t understand that 7 mantras when u sitting at that course conduct by Guruji. He will made his explanation such a way that u not fully understand. So wat u will do, sure u will attend the house meeting to recall the mantras. The leader there in the house meeting, will teach u the mantras once again which will take 3 to 4 weeks duration, by giving u 1-2 mantras a week. As these things going on, they will brain wash u to convince ur frens to attend the following month course. If u say ( No i’m not interested,) they will threaten u by saying that, “if u never bring at least one people, u will not blessed by Guruji and all the mantras will not work for u”. So weak people will follow their leader’s order by feeling it is true. But in my case, wat I did, I told them straight that, I am not interested and nothing happen to me until now. My younger sister still following it, but I can’t see any improvement on her. She everyday will go to talk with people and definitely will bring 2 persons for that course every month. One day, i checked her bank balance only have RM300 out of RM7000 she saved these 2 years. I asked wat happen to the money, then only she admit that she using her money to bring people to that course. i asked her whether they will give back ur money or not. She simply answered ( Guruji will give back these money another way). Is this sounds like believing. Now she became a leader and she have to take care almost 50 people under her supervision. Everyday she will call them and ask them whether they practice that mantras, and almost every weekend she will go out from home 8am and will come back 11pm. If ask, she said that she have conduct meeting or have to attend house meeting to train them. But she get nothing by doing this until ended up with zero money in the bank and purse. i talked to her so many times but she didn’t listen at all. Now when we looking alliance for her, she is like, not interested and reject every alliance. These is my bad experience and i’m very sad with her attitude. These people can brain wash or convince a person until they forget their role as a girl and entire family. Meditation is very good, no doubt in that, but these people must aware that, there is no one can shower us with blessing rather than supreme god. Another thing when there is cource conducted all the other members will be there at early morning to meet him hhmmmm cnt sai meet just to look at his face will wait at outside almost 8hours or more than that…..
U also can request Guruji to pray n change ur name with paying more than 1K…..
in the cource they will teach mantra….how to eat baluppe….not only people from rural area join this but also the well educated peoples like doctors lawyers join them……once a year they did prayer at Batu Caves for Guruji birthday with annathanam…. I feel nothing i can learn or gain from this Guru…..but loosing money adalah…. GOD Bless all of us……. Durai, you have done a great job in highlighting this issue to the masses. What started of small, is now growing into a corporate money making scam. But seriously Im dumbstruck and saddened looking at how easy his followers are manipulated and justified of their actions!!! Glad that Baba has brought this matter up. I have ‘sign up’ for this programme around 10 yrs back. Paid around 700+. Ty said its Guru tatchanai. Kalau RM10, 50? Y 730? The condition is that…if u don’t practice for certain period of time, the gift from Guru will disappear from you. Well you know what they said…. you have to pay another 700 to ‘Re-sit’ for the course. Down the road, I was also approached by the members to take up another level of course which is double of the price. Frens, what I have know is that Guru is someone that will lead you to GOD’s path and helps you to minimise/remove your Karma’s. Someone I knew is in RPT since 2004 until now. How is even after 9 yrs of devotion and nothing happen? How weight is the person’s Karma? Well! Does the guru knows or not that this type of scam is going on right under his nose? How could he allow this ? Spot on brother Durai, any man claiming he is GOD actually he GOD spelled backward’s.Malaysia is food heaven, it does make me wondering why would anyone would like eat light bulb and followers are paying money to watch? I have been approached by one of my wife distance relative to join this cult group two years back come out with same story about guruji eating light bulbs, he left hastily when i did throw him question on why we should pay him to pray to GOD and make introduction of new follower’s..Its down right MLM, we should inform Bank Negara about new tactic MLM and collecting money from public with any proper license..Pity those who have made the payment..
Ranggi Mike:’ Well said that we should inform to Bank Negara, but this group having big network, from malaysia, singapore,london until indian, some sure every pegawai dah di jaga ,i mean RASUAH … but all the money come’s from poor ppl, they giving the 1st payment rm730 hoping life become better & better, so they sit doing yoga at home hope for the best, the thing nvr hapend at all, then they will ask to go for Mega Meditation cost around 3k, hope for better life, end still same life , going for house meeting, weekly meeting , monthly meeting all F*** meeting but no changes in life, if we want change’s in ourlife then we should start from our inner side. go look inside you correct your self, bringup urself, liveup urself, cherrup urself. To ALL :” can anyone tell me in which way is called a GOOD Life! is it we should have lot of money? we should pray to God every day, We share what we have with other?………. i know about this RPT. his daughter got married to one of my cousin. Dowry= a bungalow and a mercedes. And my cousin since then claiming that he can make kum kum and vibuthi come out of nowhere. (till now i never seen this magic trick from him). kalau boleh buat duit mari tiba tiba saya rasa lagi bagus. If you tell the great Goundamani sir about this RPT Guru Dato, he will definitely say “Dubakur Samiyar” and give him a kick at his backside..
Bloody business man,,,selling spirituallity! thru brainwashing! Sai Baba to make vibuthi from thin air you can try to find most of video’s from youtube produced by BBC. Conman will be still around as long as there is believers..
Great Bro,I was waiting for this article.I am from Johor and known this samiyar from Permas Jaya.Went to India to learn some tricks and after he came back…He is Dato Sri….WTF?Sitthu Vilayadu is very common in India..its just trick of brainwash..Most of the Jakamma devotees know this trick.Kalau mau kaya,pi India to learn….Some of our community mentality macam tong sampah!i have argued alot abt this guy..but their followers simply mentally retarded.He is not a true GURUJI or SITTHar juz a normal guru with some knowledge..that all.Dont wash his feet or pray for his well being…keep that to your parents. One thing i don’t understand is, he has chosen a bulb to eat whereby westerners have already ate that long time ago. Give him some ’round up’ and we shall see where his balls will go running. Anyway, Mr.blogger, a very good piece. This masterpiece should not only reach your 15k people. It should reach all Malaysian Indians. Salute you man. Now…whoever is involved in sales, try leaning from the RPT. This is what u say “selling ice cream to an Eskimo”. I posted a question on their official FB page asking why must they collect money to do something good? Why cant they do it for free. I asked them why they cant do it in a temple or schools. Their answer was “If you get something for free you wont appreciate it unless you pay for it”. Sounded like a Rajnikanth dialog only “Kasthe padame ethu kedaikathu, kasthe padame kadaikerathu nilaikathu”. Well done bro thurai. I support u 100%. Best part, U are not suppose to teach anyone what you have learned unless u want your good luck and power to go. What the WTF? Wake up people!!!!!!! stupid indians led by another mangga stupid tamil…. Avane oru thirudan avana nambi namba arivuketta tamil jenmangall … enna solla ? Ava panakran avuran namba enga savurommm …..
AMMA APPA KAALA VILUNTHU KOMBIDUNGADA ….. PONNIYAM KADAIKUM …. Why indian are so stupid to listen this so call dato seri guru. Wake up indian. Please. Bro so much to say…all well said by our kaigels…he is a local from my area…semma panam bro..baba bangs.. Totally agree with you. No one can change you unless YOU wanted to do so. Simple as that. 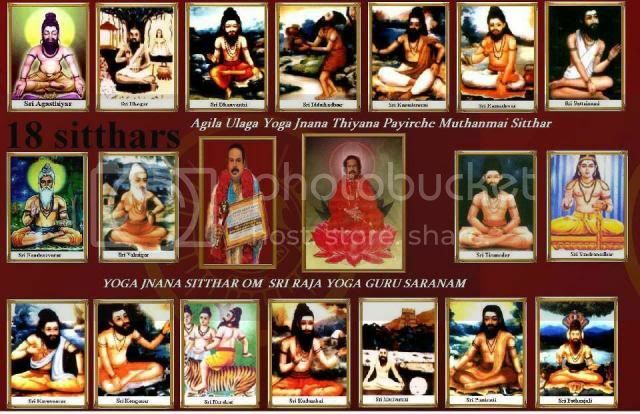 Gurus, they were guidance for us in ages. They will direct us and lead us to the way of living. for example, krishna was guru for arjuna and so on. But now days What are gurus, they call themself god or we started thinking them as god praying for them. Where is our sense? There were millions of followers with nithyenanda swami ji, what happen? You guys mite defend saying that he wasnt wrong but to your realization he preached and many people left their family life and joined his quest. How if we believe in something wrong mis guided? We came from Great histories…. Do you know why indians love to have thulasi at home because thulasi gives great deal of oxygen. you know why in india they use cow sanni as to clean their house because it is antibacterial. in india they still leaving in unimiganeable porty and so on. we knew this way before proven by anyone. But look where we are know. I ve joined tis RPT few years back…I was practising so called their mantras but tutttttt ntg happend…de person who brought me there was a conman. Anyway I stop it ady in 2007. To my surprise in year 2011, I gt a call from one of de RPT followers…and asking me to join mega meditation. The first question to de lady was “how u get my num” and she said she gt from de database. I was ok so….she some kind force me to join de mega meditation…initially I was cool n responding to her..but one point I was so piss off n tell off that “hey listen tis thing doesn’t works for me. So I dun wan to join n dun disturb me” I just hang up. muttalgalum…mudargalum ulla..varai..inthe maari …bulb baba..irukathan seivargal..
Having participated in many meditations, enlightenment and awakening classes & sessions, including this guru’s 730 session in pwtc in the past, and I think I’m at a position where I can shed some light here. Not wanting to be judgemental, I reserve my comments of whether this Guru is Godsent or sent by himself. 1. Pray, then Meditate. Every morning. 2. Clear your thoughts, remove jealousy and hatred. If can’t remove, ignore and move away. 3. Accept challenges to your ability. Take it a step at a time – eventually you’ll be stronger to accept bigger ones. Calculate all risks so you can prepare for the worst case. 4. Pray, then Meditate. Before going to bed. You can join a genuine spiritual awakening and/or enlightenment center, such as GP World Peace Sanctuary and Self Awareness Center (I’m honestly not commercially affiliated with any of them). Every month or so do a group meditation at these centers or on your own. The power of group meditation is immense. Those knows the secret works well.